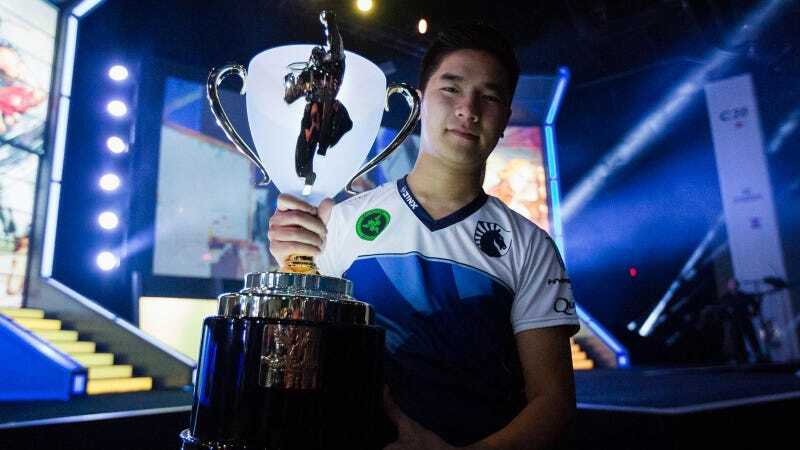 As the Capcom Cup 2016 champion, Du “NuckleDu” Dang was automatically granted a spot at the 2017 event to defend his Street Fighter V title. But a recent announcement has thrown a wrench in that storyline, shaking up the established competitor lineup for the most important Street Fighter event of the year. Dang took to Twitter yesterday afternoon to announce he “most likely” wouldn’t be attending Capcom Cup this year, noting that the organizers “support my decision completely.” Team Liquid, who Dang has represented since 2015, publicly responded that he has their full support, telling him to “focus on yourself first and competition second.” Capcom Cup is just a week and a half away. Nothing is known about how or why Dang came to this decision, and neither he nor Team Liquid have responded to Compete’s requests for comment. In response, Capcom announced this morning that Capcom Cup 2016 runner-up Ricki Ortiz will be taking Dang’s spot in the 2017 event, thanks to an official guideline regarding who steps in when the defending champion can’t compete. Since winning the Cup last December, Dang has remained a contender on the competitive circuit. Ortiz, however, has struggled to match her previous achievements as her focus has shifted elsewhere. Capcom Cup is scheduled for December 8-10, hosted at the PlayStation Experience in Anaheim, California.